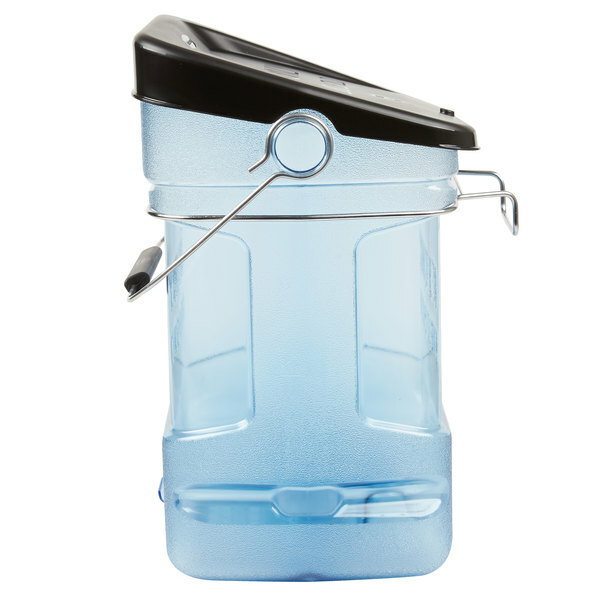 Safely and easily transport up to 25 lb. 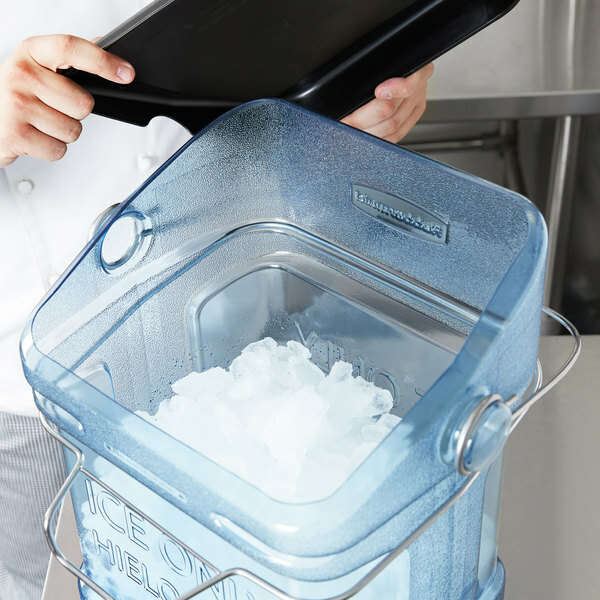 of ice with the Rubbermaid ProServe ice tote with bin hook adapter and lid! 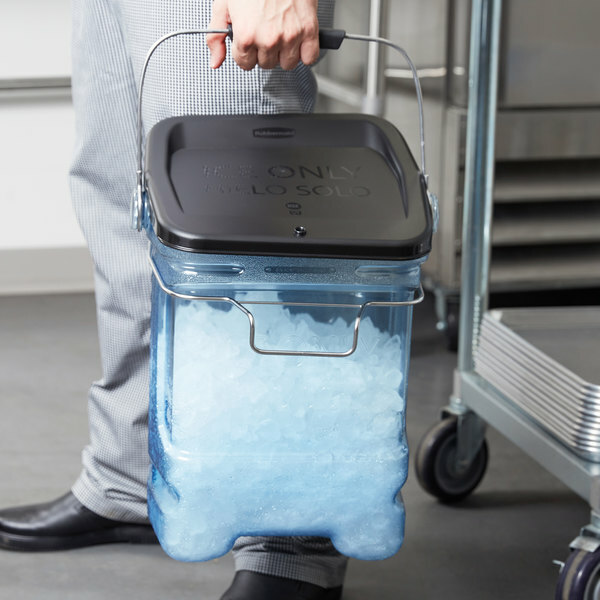 With a capacity of 5.5 gallons, this ice tote is perfect for restaurants, cafes, bars, and catering services. 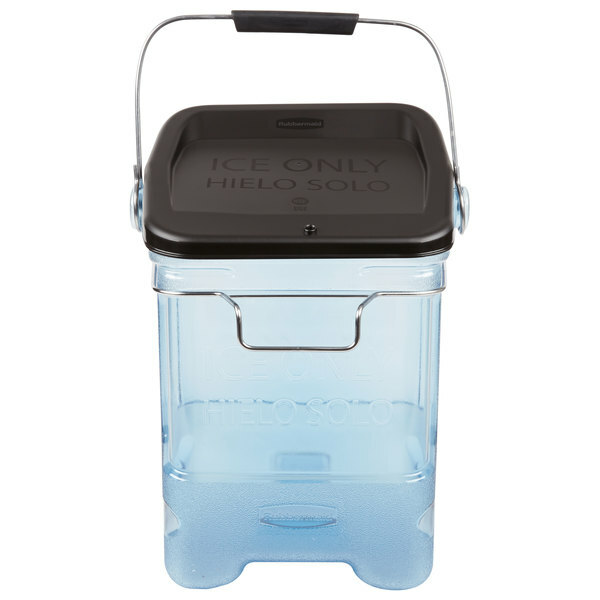 The included lid protects your ice from contaminants and germs, fitting tightly on top of the tote, while the durable polycarbonate construction gives it long-lasting durability even under heavy-duty use. 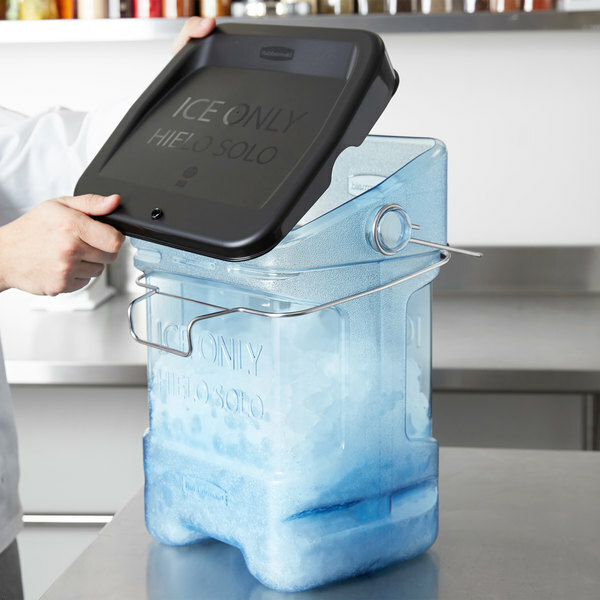 At the same time, the words "Ice Only" are printed on the outside of both the tote and the lid, instantly notifying workers of its application to prevent cross-contamination in the kitchen. 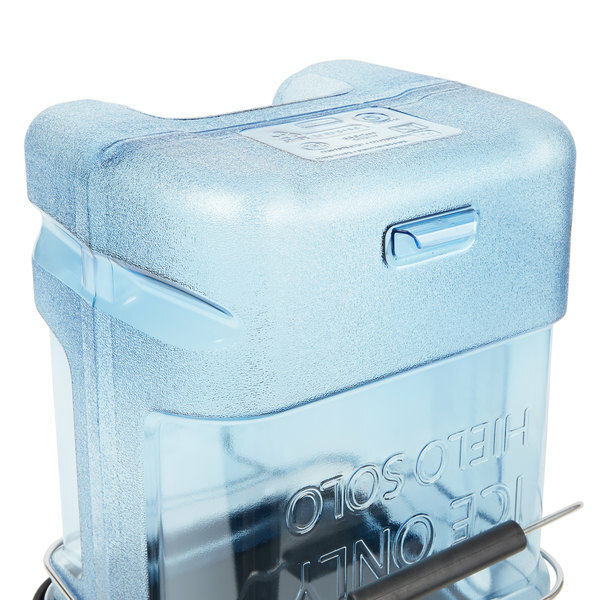 This ice tote's innovative bin hook adapter allows you to attach the tote to nearly any ice bin when filling. 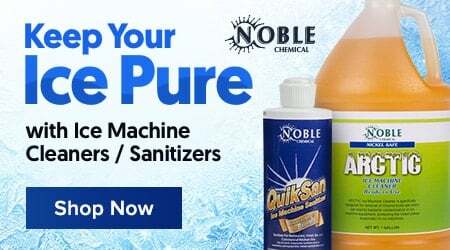 This helps you greatly reduce the risk of physical stress and bodily injuries, taking the weight of the tote off of your staff's hands during filling. 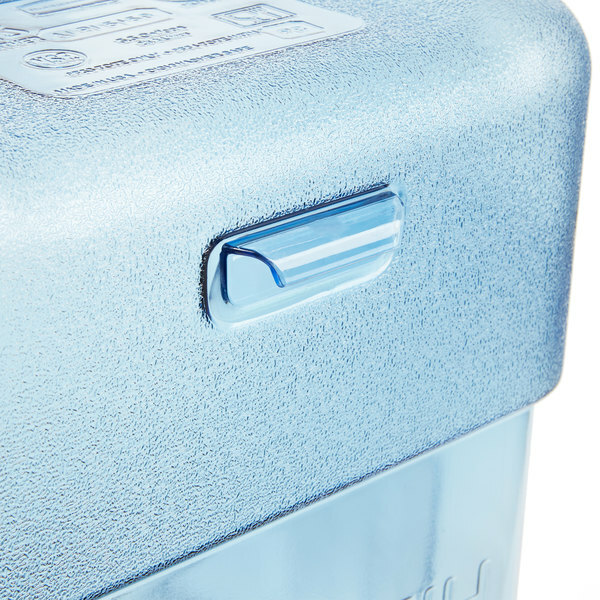 When it's time to lift the tote, an ergonomic comfort grip handle allows for an even distribution of weight in the user's hands. 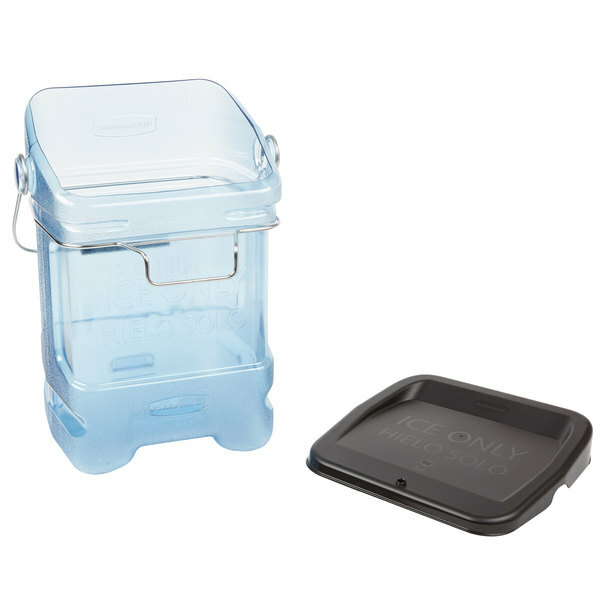 This ice tote features an angled top opening to prevent spills when filling. 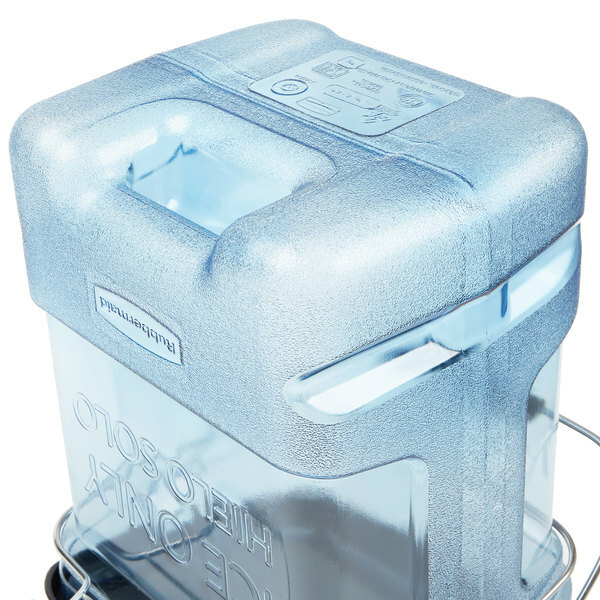 It also acts as a spout for enhanced control when pouring ice. 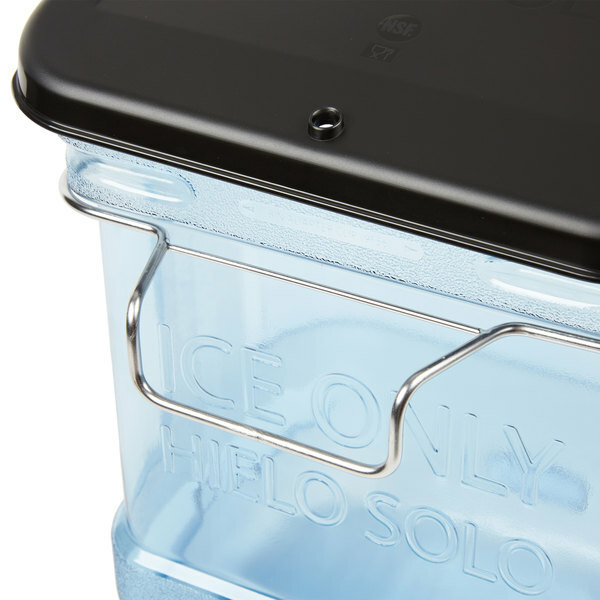 The sturdy, square design takes the hassle and struggle out of keeping your ice station stocked with ice, ensuring an easy-to-grip surface that maximizes storage space, too. 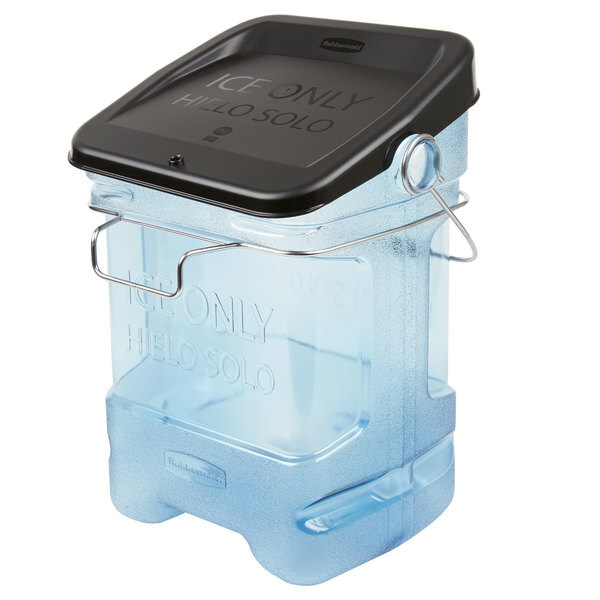 The bin is designed to hang upside-down during storage, from its built-in rear hanging hook. 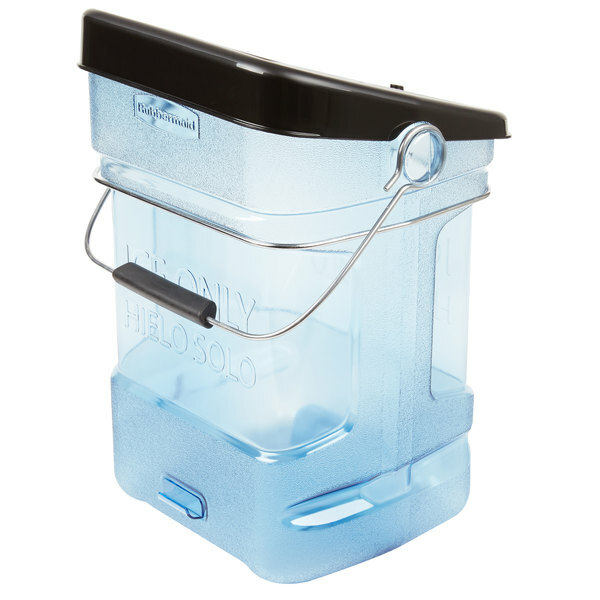 This hook promotes sanitary drying and storage, as does the non-nesting design of the tote.